Well, I went 59 minutes thinking I wouldn't have to say it, but just based on how it ended I'm going to say WOW! 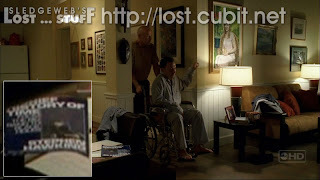 Executive Producers Damon Lindelof and Carlton Cuse already had stated prior to this episode that people were either going to love it or hate it, but that Nikki and Paulo would go down as iconic characters on LOST. I will say that I did enjoy it as a stand-alone murder mystery episode. But as an episode of LOST in the grand scheme of things? .....eh, I dunno. There were a FEW tidbits thrown into the episode that might be good to know for the future and I'll mention them. I also loved revisiting some old characters and stories from another point-of-view and I'll discuss some of my favorite moments with that. But I'll be honest, there doesn't really seem like MUCH to discuss from last night's episode. And due to this, I have a back-up plan! There were lots of goodies from the producers that they dished out in this week's podcast and also in interviews with EW.com. I will share highlights from these interviews in the 2nd half of the blog. 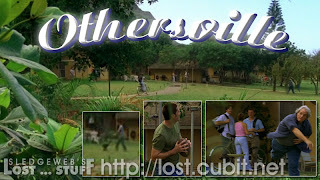 Never a dull moment in LOST THEORIZATION Land! So, here we go! First and foremost - Billie Dee Williams was a star of Exposé!!! That's right, fulfilling Star Wars fans' dreams everywhere (including the creators of LOST), Lando Calrissian was on LOST. 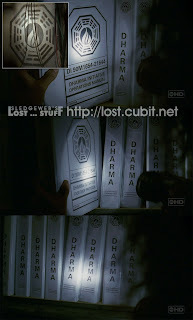 Speaking of Exposé, it was the ol' show within a show where they could make fun of the TV Show LOST. (Often was done on "The O.C." so I've been told....not that I ever watched!) Things were said by Nikki like "I'm a guest star. Guest stars always die on these shows" and Hurley being a huge fan and finding out who the Big bad boss wasn't revealed until Season 4. Probably referencing that we may not find out about Jacob until next season. Loved seeing Boone and Shannon again. Loved seeing the CRASH again. Although the super-imposed shots of Nikki amongst the crash survivors looked pretty bad. But the concept was really cool. And I loved how Boone came up to Nikki asking for a Pen. If you recall, immediately after the crash - Jack sent Boone to look for pens to pierce Rose's lung (due to her being unconscious and not breathing). Arzt also returned, which is funny. Arzt was another character that was introduced out of nowhere as one of the survivors. So we also got to see what he was up to for most of his time on the island. He was discovering new species in order to become the next Darwin. We also see Arzt running past Nikki and Paulo saying that Boone stole all of the water. Another season 1 episode when they were running out of fresh water (this tied into Jack returning from seeing his father and finding the caves with fresh water and the infamous "Live Together Die Alone" speech). Interesting to see that Nikki and Paulo discovered Eko's plane before Locke and Boone ever set foot there. They were so obsessed with finding the diamonds, that they never even told anyone what they found. They also discovered the Pearl Hatch, which we learn Paulo would return 32 Days prior to the present day. The reason I'm pointing out the days because it impacts what happened IN the Pearl Station. okay....bear with me here...I just did some math. If the crash happened 80 days ago and Paulo was in the hatch 32 days ago....this is DAY 48 on the island. Which happens to coincide with Ana Lucia shooting Shannon and the Tail section survivors meeting up with the main castaways. Why is this important? It sets the timeline to when Ben and Juliet came to the Pearl Station. This is PRIOR to "Henry/Ben" being captured by Rousseau and brought to the Swan Hatch. 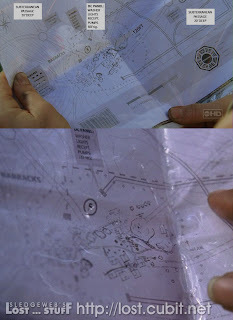 Ben unveils his plan to capture Jack, Kate and Sawyer even before Michael went out looking for Walt. He was just returning with Ana Lucia and crew. Yet, he still knew they would use Michael to get what they wanted. Ben also noticed the HATCH Door was open and Juliet mentions that TOM was in there (must've been monitoring Jack, Locke and the Hatchlings). Ben requested for Tom to cover up the Pearl Hatch door with the plane. 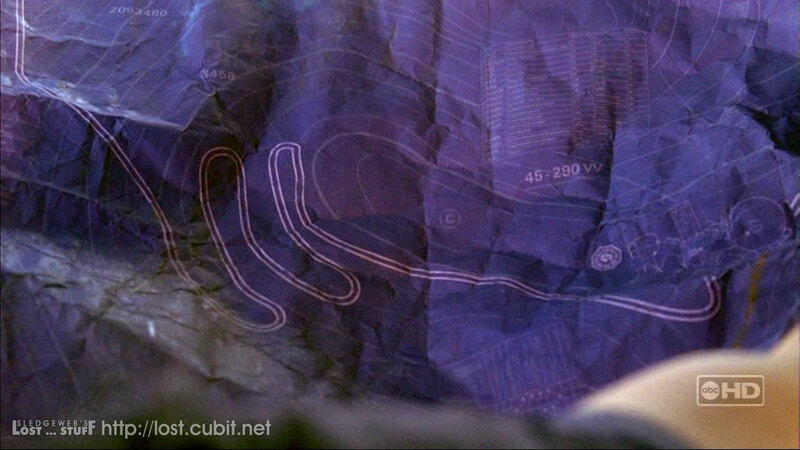 So, this would tie into Locke and Eko not being able to directly see the Pearl Hatch as easily as Nikki and Paulo did. Although it escapes me how Boone and Locke didn't see it PRIOR to the plane crashing. I guess, because they kept focusing on the plane! Anyway....key point is, the OTHERS were monitoring the survivors and probably were monitoring Ben when he was captured. Did they come in through the Pearl hatch door? or maybe there was another passageway from Othersville there? (remember the underground tunnels from the map?) I'm sure we're still going to see yet another flashback showing us what the OTHERS were up to in those 80 days....it just HAS to happen! and I'm not giving up on it! Again, Paulo had SEEN the others and never told anyone about it. He KNEW of Ben's Plan to capture Jack, Kate and Sawyer to expose Jack's weakness and get him to perform a surgery and never told anyone. Of course with the Others always referring to people by their last names, he might've been confused. What's up with that anyway??? So Charlie came clean to Sun on abducting her last year in Sawyer's attempt to get all of the guns. These seemed to be resolved much cleaner than we would've hoped. I guess they changed their minds on what they wanted to do with Charlie in the long run. He was looking pretty evil for awhile last season. But now all is well...and it was all resolved by Sun slapping Sawyer. Good times. We saw Ethan again in the flashbacks being as creepy as ever. Telling Paulo to head inland. Couldn't really tell if he had any ulterior motives by that. Lots of joking references to the smoke monster killing Nikki and Paulo and also going back and forth on Eko telling Locke "You're Next." Sawyer translated this to mean "EVERYONE" was next. But maybe it was just Nikki and Paulo? So, Nikki gets her spider education from Arzt about these poisonous spiders that petrify you for 8 hours and how once the female bites its prey the faramones (not sure the spelling!) would attract all of the male spiders within minutes. We see this happen when Nikki gets bit. But did anyone notice the SMOKE MONSTER "SOUND" that accompanied the arrival of the spiders? Was this another manifestation of the monster that eventually led to the deaths of Nikki and Paulo? This monster definitely doesn't like people who do bad things! Wait a second, if Nikki and Paulo were only paralyzed temporarily...how are they dead? Oh right....because the castaways buried them alive! Yeah, I'll admit it...my jaw dropped. But I was thinking when they talked about a GAME CHANGER, they meant something in the larger realm of LOST mythology. Being buried alive hardly would meet the requirements for me! So I'm hoping they were talking about another episode with this "GAME CHANGER" The producers may have hyped this episode up a little too much. But then again, they DID say that people may not like it. It was a good episode, but still it didn't do much for the big picture. 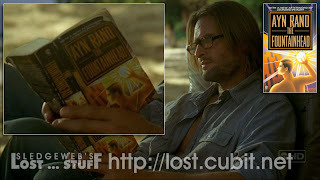 To tie in with the whole Murder Mystery element of the episode, Sawyer was seen reading Agatha Christie's "Evil Under the Sun." I personally prefer "And Then There Were None" but that's just me! So that's about it. Did I miss anything you wanted to discuss about the episode? Feel free to post comments and we can discuss. But that's pretty much all I got out of it! Farewell Nikki and Paulo! We hardly knew you and we're glad you're gone! I know I've promoted it before, but if you haven't started listening to the LOST Podcast yet, you should! You can get it through itunes or even listen on lost.abc.com. Anyway, they had a very interesting Q&A Session at the end of the podcast which everyone might find insightful. Remember Rousseau's Map in season 1? The one that Sayid stole and tried to translate with Shannon? Well, it had a drawing of a small island off of the larger island. This confirms the producers had always envisioned there being AT LEAST 1 smaller island off of the larger island (aka alcatraz 2.0). It also further clarifies that Rousseau knows a lot about the others.....but is adhering to a "don't bother them, they won't bother me" philosophy. The producers also shed light on the Original Plan for Michael Emerson's character (Henry/Ben). The original plan was for a 3 episode arch. He was still going to be one of the OTHERS but would've escaped. They say that they specifically recruited Emerson because of his work as a serial killer on "The Practice" so they were HOPING he'd be as good as he was. But just in case, they had a back door. If Emerson wasn't as good as they hoped, the storyline would've been for Henry to to come back and kill a couple castaways before HE was killed off (Ana Lucia and Libby). Another route they could've gone was that he still could've been the leader of the OTHERS even with the 3 episode arch, showing up only in the finale. Where they decided to make some changes was to extend his HATCH visit because he was THAT good with the role. Instead of the LOCKDOWN episode being a Jack/Locke episode where they were locked in the hatch it became a Henry/Locke episode..... (with Jack and Sawyer playing poker). They said even if Emerson didn't work out, they could've replaced his leadership role with someone else and all season 3 stories could've continued. What they're trying to show with this is that even though they change certain character/smaller plots on the show...their overarching story still remains the way they always envisioned. And both of these Answers go to show that they've always had an idea of the direction they were heading with the show. We won't be continuing the story of Locke and Locke's Dad on the island until Episode 19 (May 2nd). They say we'll see Locke in the meantime, but we won't be focusing on that story. They say it will be really rewarding when we do. They also talked about the BOX as a metaphor to something John could understand (being from a box company) but they also related it to Sayid's Cat, Kate's Horse, Jack's Dad, Yemi...etc.... So the smoke monster, the visions and Locke's Dad all seem to be related. They also suggested that due to Locke's "Naturalistic" approach to the island has led to his belief that it cured him of paralysis, it may influence the OTHERS to abandon their OTHERSVILLE by the end of the season and live more like the castaways. (WITH the castaways? yet to be seen). Lately the writers have been making us sympathetic towards the Others but Damon and Carlton reminded us about the Hanging of Charlie in Season 1 and the killing of some of the survivors. They said by the end of the season we will be reminded that these guys are NOT GOOD PEOPLE! I also found some of their answers here pretty enlightening and thought I would share. Q: When Locke was walking away from the submarine last week, he appeared to be soaking wet, despite the fact that we never saw him get into the water. This has led to speculation among fans that Locke didn't actually blow up the sub, but instead, took it out to sea, submerged it, and blew up the dock — all part of a plan to make it appear the submarine was destroyed. The question is this: Are we supposed to be wondering why John Locke was all wet? Me: In rewatching this scene, it is very difficult to see the submarine and it appears that just a piece of the DOCK blows up. And LOCKE is CLEARLY soaked when he returns. He also suggests to Ben earlier in the episode that for all Ben knew he might've been a commander in the Navy. It seems like a joke at the time and Ben never says anything in response. But maybe Locke DID do something with the sub and create the illusion that he blew it up. It just didn't seem like there was enough time for anything like this to go down. I'd say there has to be a reason for him being soaked though. Q: Will we see another Locke flashback story again this season? QIn the final moment of ''The Man From Tallahassee,'' when Locke's eyes went wide and he said ''Dad?'' was Lost paying ironic homage to the classic ''Mom?'' moment in J.J. Abrams' other cult-pop classic, Alias? Despite the fact that the episode was written by former Alias scribes Drew Goddard and Jeff Pinkner, Lindelof and Cuse say no homage intended. Q: Are we supposed to be wondering what happened to the corpse of Jack's dad, or is that fact totally irrelevant? A: 'Toward the end of the season, I suspect,'' says Lindelof. Sidenote: Speculations continuing on the painting in Ben's house. Who is the woman? fans have narrowed it down to either Juliet or Karen DeGroot. I have no idea who it is, and really don't care at this juncture. But here is some side-by-side comparisons! Anyway, hopefully that helped satisfy everyone's LOST fix this week. In looking back, it was a good episode and definitely a good one to follow-up the intense Locke episode last week. The most shocking thing for me is that they actually buried Nikki and Paulo alive. And I guess that's what the producers considered the possible "Jump the Shark" moment. It all goes to show that TOO MUCH hype for an episode is never good! But next week sure looks good with the Kate/Juliet face-off! Which leads me to my next, possible sad piece of information. Things seem to be getting pretty hectic at work here...so you'll have to forgive me if the blog starts getting posted at random times. I know I always say it and I always find a way to get it posted. But, sometimes I get pestering emails asking me where the blog is (you know who you are!) ....all I can say is be patient! I can see worst case scenarios of the blog not getting posted until Thursday night, possibly even Friday morning. Which might work out for some people...since the show airs too late and people don't watch until Thursday! But I will try my best to get it out as early as possible! That's all folks! 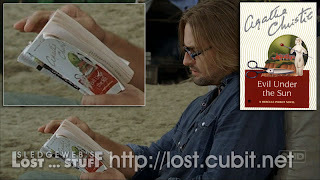 See you sometime next week as we continue our non-stop viewing and blogging of LOST! Okay, you know you want me to do it! And I think last night's episode was worth it...so here it comes.....WOW! We finally learned how John Locke ended up in a wheelchair. Did the writers meet your expectations for the milestone event? The actual event was shocking in itself, but what we learned in the conversations between Ben and Locke was what held weight in this episode for me. Well, let's not waste time with my intro here. Let's dive into the episode! The premise of this episode was continuing the Jack Rescue Mission while getting into Locke's head and figuring out what he's been up to since the beginning of his time on the island as well as primarily this season. And naturally, figuring out how he became paralyzed was a pivotal moment too! Re-watching season 1 has been quite a refresher for me. For instance, I forgot that Jack was a piano player. We saw him tickling the ivories out in the Hotel the night before his wedding to Sarah. Here, Kate comes into Jack's Quarters and gets to see his skills first hand. Looks like Kate has a thing for doctors who are musically inclined! Of course this reunion attempt is cut short when Jack informs Kate of the camera watching his every move. That's some kind of house arrest they have Jack under! Football catches and Piano playing in a souped up apartment. Sayid is captured and guarded by some new OTHERS faces, one that goes by the name of Ryan. Apparently Sayid's only purpose in this episode was to inform Alex that her mother is still alive. Apparently Ben and crew told her she was dead. Rousseau watching her daughter at the end of the episode was a very touching moment, wasn't it? Big thing that happened in this storyline is Jack preparing to get on the sub with Juliet and leave the island. It created a perfect dynamic for an emotional scene between Jack and Kate. Jack suggests that he's trusting the others because KATE told him to in their only other conversation this season. Really Jack? That's a lame excuse! Jack's entire plan is to get off the island and figure out how to get back to it and rescue everyone. I guess he's not up to speed on the fact that ever since the Electro-magnetic "EVENT" on the island, there is no way to FIND the island after you leave. But was Jack REALLY going to be let loose? Are Michael and Walt really free right now? Or did Ben already know that something would prevent that Sub from leaving? And did Jack really think Ben would keep his word of letting Kate and Sayid go after he left? Guess it doesn't really matter now, since they're all stuck there! We start off with Locke trying to get extended on disability. Why was he on disability PRIOR to be disabled? Did he claim to have a condition prior to giving up one of his Kidneys? They also suggest he gave up on therapy. 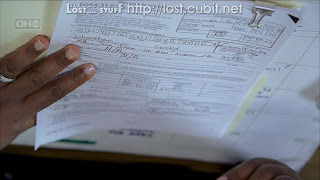 We get a glimpse of paperwork that also shows us Locke's Birth date and address. Locke was born in 1956. This makes him 48 on the island. Also shows that we are in California, not, Florida...even though it is suggested that Locke's father is from Tallahassee ("The Man From Tallahassee") Of course that Florida reference helps us with another tidbit we'll bring up in a second! We meet some people that are in the process of being conned by Locke's father. He is about to marry into a family worth 200 million dollars. The woman's son Peter Talbit, reached out to Locke as he found information going back to an Alias name and a kidney donation by John Locke. After Locke informs his Dad about the situation, Peter winds up dead. 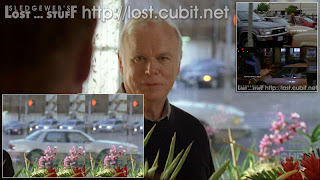 I didn't see it, but when Locke is talking to his father in the flower store, a car drives by that looks very similar to a car that has showed up in other encounters. These encounters? Season 1 - Michael gets hit by a car (same car), Locke is chasing his mother in the parking lot and gets hit by a car (same car), Kate is running from the hospital with her teenage sweetheart, Tom and hits a car (same car). Coincidence? In any other show, I'd say yes. 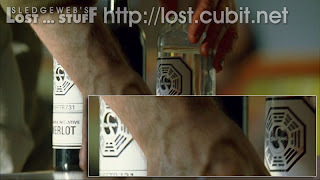 In LOST, I'd say all of the events are connected in some way! Was this car en-route to making another hit and run on Peter? Yeah, probably. 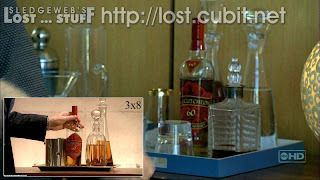 Locke's encounter with his father in the apartment building showed us another bottle of Macutheon Whiskey. Last bottle we saw was in Charles Widmore's office. I guess all these bad daddies like to drink the same Whiskey. Again, showing us that there is a common link between all things LOST. So the big event...how did it happen? Cooper (I'm sick of calling him Locke's father) pushes John out the window of his apartment 8 stories up. Locke falls flat on his back breaking it. I mean...WOW! Was that fantastic? We knew the moment had to be coming up soon, since the episode was nearing the end.....but it still seemed so unexpected! John's father tried to kill him. Obviously, this means cooper killed Peter. Did he kill the mother too? Not sure if I caught that or not. So, the paralysis John suffered from prior to island life would seem like something that is unrecoverable from. Yet, he was instantaneously cured on the island. More on that in the next section. Okay, time to possibly tie some more story lines together from season 1. 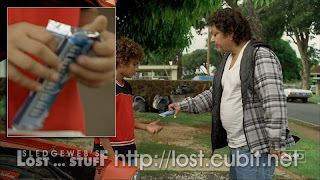 Remember Hurley's first flashback when all the bad stuff kept happening to him after winning the lottery? We see him meeting with his accountant in an office building of some sorts. While he's explaining to the accountant that bad stuff keeps happening to him...a man falls outside the window. Is it possible that this was John Locke? Well we do know that Locke worked for a Paper company that Hurley owned. We know that they were both in California. But some issues with this? Locke falling was 4 years prior to the crash and in an apartment building. Hurley winning the lottery seemed to be not long before the crash and was in an office complex. Still, it seemed too coincidental NOT to mention! Yes, this was the meat of the episode. If you go back a few blogs to when Kate first returned to the beach after her captivity, we even knew then that Locke was suspicious that The Others had contact with the outside world. We couldn't quite understand why he was so interested in this because we know he does NOT want to leave the island. Well, this episode clarified Locke's position and what he is willing to do to make sure he stays on the island. Why did John Locke bring the C4 with him? He wanted to blow up the submarine to prevent anyone from leaving the island and for anyone getting TO the island. Ben played Locke to perfection in solving his issue of letting Jack leave the island. As Alex pointed out, he was manipulating Locke into thinking it was HIS idea to blow up the sub. When did his mindgame with Locke start? How did Ben know he was going to show up? Does it go all the way back to Ben's captivity in the Hatch? Does it include the engraving on Eko's stick that led John to the FLAME station and eventually to Othersville, creating a path of destruction along the way? Seems a little far fetched for Ben to have THAT much control over people's intentions. But at the same time, he got what he wanted. No way off the island.....but again IS there a way off the island? Michael and Walt went somewhere on that boat...the submarine was going to go somewhere. What about Desmond's sailboat the others have now...couldn't that boat leave the island? And what about Ben's slip that the submarine is to keep order and to keep up the "illusion" that the recruited OTHERS can leave the island? Something is fishy in the state of LOST Island indeed! And you just can never really believe anything Ben says can you? Even though it's so easy to! Okay, take a break from my ramblings and look at the artsy decor in Ben's office. I really have nothing to say about it. But I found the picture, so I thought I would just post it. There are some ancient relics of some kind on the wall that might indicate just HOW long the others have been on the island (as Mikhail had suggested...a very very long time). Remember the 4 toed statue from the finale last season? The island is very old. Also, who is the woman in the portrait, and what's up with the picture of that hut? Do we even care? So one of the big conversations between Locke and Ben was about Ben's knowledge of Locke's paralysis and his curiosity into how Locke was instantaneously cured on the island. As expected Ben in the wheelchair tied in perfectly to this reveal. Locke and possibly Ben are under the belief that Locke has fully embraced the island and has some special bond with it. This somehow explains why Ben is NOT recovering from his surgery quickly. If you recall, Rose also embraced the island and knew her husband was still alive and also that she was cured from Cancer. (more on Rose and Bernard in a bit too!). Are we meant to think there really is some supernatural power on the island is bonding with John? 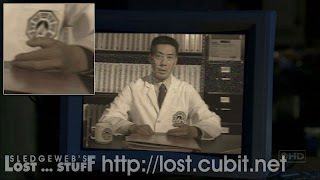 That is the continuous mystery behind LOST, and we probably won't find out the answer until the end of the show! Locke's take on Ben not recovering is that he and his crew are CHEATING with their communication with the outside world and their use of technology on the island. He clearly thinks he understands the island better than Ben who has been there his entire life. Of course, this may all change when Ben explains to him the nature of the MAGIC BOX. We know Locke's dad is a conman and so is Sawyer.....and one of the running theories in LOST is that Locke's dad might be the REAL Sawyer. You know the one that conned James Ford's (who we know as sawyer on the island) mother causing his father to kill her and then himself...and causing a life of pain for James....also causing him to become a conman himself while hunting down the REAL sawyer. Wouldn't it be convenient that the island brought him the thing he wanted the most too? A chance to kill the man that ruined his life? Kinda like the thing Hurley wants most is FOOD and it keeps showing up in endless supply? Ahhhh crazy stuff. Another theory going around...there are lots of people with FATHER issues on LOST island.... Jack, Kate (killed hers), Walt (Michael), Desmond (well Penny's father really), Jin, Sun, Hurley etc...... Perhaps Ben is sympathizing with John because he has father issues himself? BTW...the producers have confirmed that the MAN in charge of the OTHERS is definitely Jacob. We aren't meant to be theorizing on this anymore. So the theory is...what if Jacob is Ben's father? And he has issues with his father also....even though he did suggest that the man in charge is a GREAT man. Oh well....just something to keep tabs on. On a lighter note...Ben is ALSO reading "A Brief History of Time" which we saw someone reading in episode 7 of this season. Perhaps that's the current BOOK CLUB book that the others are reading? Or maybe it's emphasizing the Black Hole theories out there and the BENDING of Time theories. 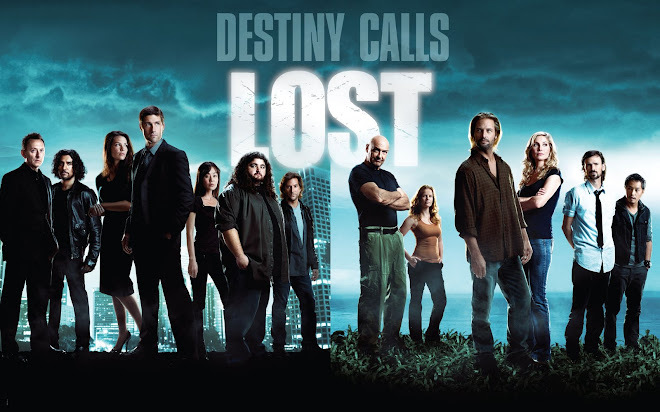 Yep, so just as confused as ever, but everyone has to admit that LOST has been on a roll again. Everyone's patience is finally paying off. And if we are meant to believe that this is a 5 season show (with possibly a 6th). Well if that's the case...we've passed the MIDPOINT of the entire story.....so we should be seeing a lot of PAYOFF now. But this IS Lost. There are bound do be some snoozer episodes here and there! I'm on board though! Okay so next week is a Nikki and Paulo flashback episode! Don't be discouraged. I've heard great things about the episode and the concept of it is a really good one. This is rumored to be the "GAME CHANGER" episode where an event will happen that changes everything we've come to know on the island. I don't want to potentially spoil it for anyone that doesn't want to know, but I'll post a cool theory that's been going around below. You'll just have to highlight the text to read if you want! First, premise of the episode will fill in the gaps of what Nikki and Paulo have been up to in the 1st 2 seasons where we didn't see them. What does this mean? 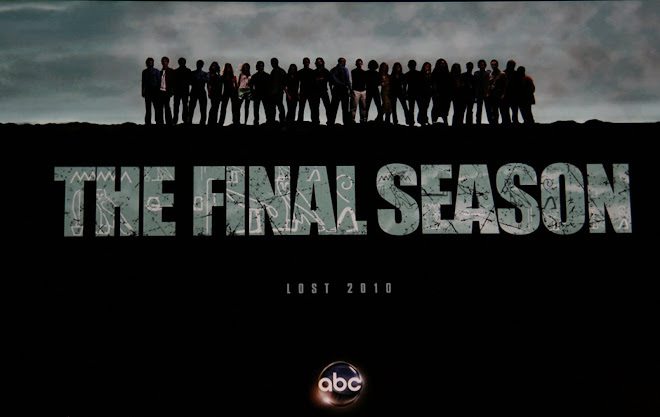 Expect to see Boone and Shannon...maybe even Ana Lucia and Mr. Eko. Great concept! Take that even one step further....the theory..Have you noticed how we haven't seen Rose and Bernard ALL of season 3? And you remember how we're meant to believe Desmond actually changed his past? WHAT IF when Desmond went back he changed something that caused Rose and Bernard never to get on the plane? And what if Nikki and Paulo got on the plane instead? Well I like this theory in that it definitely explains why these 2 just showed up! And I like it in the fact that it drives my mind crazy thinking of the possibilities. But I'm skeptical to how they could pull that off without messing up PAST Plotlines too much. I guess we'll see if it's even a possibility! Alright, I think I went overboard with this blog! Hope you enjoyed! And I'll see you next week for another hopefully high-quality LOST adventure! Well, my fellow Losties, it would seem LOST has found it's groove for season 3. After a poorly constructed 6 episode arch and 13 week break, we now have seen ANOTHER 6 episodes of the show and I am all giddy with excitement again! Everyone is theorizing again, comments on the blog are growing, and the WOW's are coming regularly! And I must comment about my first LOST HDTV experience.....it deserves a SUPER WOW all by itself! I felt like I was on the beach with them trying to help Jin and Claire catch a bird from the Flock of "Sea Birds!" Anyway, no sense in delaying, let's discuss "Par Avion"
Sawyer has a new book! "The Fountainhead" by Ayn Rand. This stuff gets too deep for me. If you really want to find out about the book, join the other crazies writing about it at wikipedia! Finally we can confirm what we've all been thinking since almost a year ago! But we'll get there in a second. 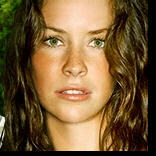 Claire's flashback traces her life immediately following a nasty car accident she had with her mother in the car. Her mother ends up in an indefinite coma. We learn a bit more about Claire's family background and also her previous method of earning a paycheck! Let's dive in! No sense in delaying - We finally confirm that Christian Shepard (Jack's Dad) is also Claire's father! For once, the producers didn't try to pull a fast one on everyone since it was pretty much figured out during episode 2x20 (Two For the Road - Ana Lucia Flashback) last season. However, I will contest that maybe they tried to confuse us by making the woman we saw in episode 2x20, Lindsey, Claire's AUNT instead of her actual mother. In the end, it's all the same. Jack and Claire are related. Half-Brother and sister. Jack is also UNCLE JACK to Aaron. Christian now has ties to 4 survivors of flight 815 (Jack, Claire, Sawyer, and Ana Lucia). We can bet there are more connections than that too. And we still have to think that somehow he is involved in this whole island mess. Implications of all of this. Well, Christian went to Australia to find Claire, even though Aunt Lindsey hates him. Jack went to Australia to get Christian, who ended up dying there from what we can only assume was an alcoholic binge (but who knows? maybe we'll find out in future flashbacks that perhaps someone else on the island was involved in his death.) Okay, sum up Mike! My point is, the whole reason that Jack was in Australia was basically because of his half-sister Claire. And then they end up being on the same doomed flight? Ahhhh that's some good writing! We learn that Claire has no idea of the name of her father. Meaning that it would be difficult for it to come up in a conversation between Jack and Claire that they are related. But guess who on the island probably DOES have that information? Yep, THEM crazy OTHERS! Perhaps they will unveil this information to Jack at an opportune time. Did I mention pre-pregnant Claire was a GOTH chick? Must've forgotten! She's also worked at a piercing/tatoo parlor. There was some crazy girl in there getting some crazy piercings. I'm gonna go ahead and guess we don't have to remember who she was! 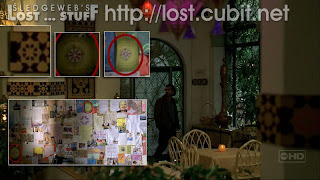 But one thing that lost.cubit.net made note of was that there was a tattoo pattern that we got a glimpse of that may have said "HURLEY." But this easily could've been HARLEY (as in Davidson). Thought I'd share the picture anyway and you could see GOTH Claire once again. Okay, so remember Claire's first flashback episode in season 1? The one where she argues with her boyfriend on having the baby? Remember when she said to him "My Mother will disown me" and he responded "Well she kinda has already" ? Don't worry if you don't remember it, that's why I'm here! Anyway, people are speculating that the writers have done some lousy writing because NOW we learn Claire's mother is in a coma. How could she disown her? Well, I'm sure the writers kept this in mind which is why we got the last scene with Pregnant Blonde Claire talking to her mother about how she avoided telling her about the pregnancy for awhile. As for the "already disowning" part of the season 1 quote.....well we also learn in this scene that Claire and her mother were in a HUGE fight right before this car accident...and that Claire wished her mother was dead. Hmm....doesn't that usually suggest DISOWNING? Sure, this may have not been the original plan for Claire's mother (well, we don't even know if Claire and Jack being related was an original plan), but I think we can say that they covered themselves pretty well with this storyline. 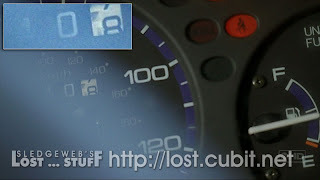 For all you numbers fanatics out there, Claire's accident happened at MILE 108 on the odometer or trip meter. Well this section was packed with goodies wasn't it? As predicted, leaving Mikhail alive was a useful tool for the audience to learn more information about the others. While most of it was just reinforcing things that we already kinda knew about, he still let a few tidbits slide. We also see tensions rising between Sayid and Locke (The Magic Stick??? one of many comedic lines!) and suspicions of Locke's intentions are increasing with every episode. Let's see what we can dig up! If you read the comments last week, I went back and forth on Locke's intentions/unintentions of blowing up the Flame Hatch. I suggested that Locke DID know of the C4 and intentionally blew the hatch. Then after re-watching, I realized we never saw him in the basement where the C4 was and started 2nd guessing myself. Of course, this is what we were meant to believe as he started telling Sayid the same thing....only for us all to discover that Locke STOLE some C4 from the Flame Station. So, I'm back with my original theory now! Locke has been through a lot on this island. He is one always looking for purpose in life and thinking the island was going to give him answers. Ever since he realized he was a pawn in an experiment he has been a wounded character yet still looking for answers...and still knows there is something up with his paralysis cure. And it looks from next week, he's going straight to BEN with an Agenda outside of saving Jack. Okay, so more information about the others. Well, thanks to our Russian translators last week we learned that our Russian guy had been briefed on at least ONE of the survivors, that being Sayid. Apparently, he had information on Kate and Locke as well. We would've found out about his prior connection to Locke but crazy Rousseau cut him off in traditional LOST fashion. If I'm a betting man, Mikhail was about to suggest that the last time he saw Locke, he was in a wheelchair....but what do I know? Mikhail tells us more about the LIST suggesting that people NOT on the LIST (like Kate) would not be able to comprehend anything he had to say. People not on the list are Flawed, Angry, Frightened. We confirmed that BEN is not the almighty "HIM" that the OTHERS all refer to. And we know from a prior episode this season that JACOB has a list! We have yet to meet this Jacob (or so we think). Mikhail also says he was brought to the island via the submarine, but ever since the sky turned purple (an electromagnetic Pulse), their sonar device is not working and it is impossible to navigate from the island. Looks like everyone is stuck there now! That should buy us a few more seasons! So we witnessed a brand new technology on the island. Locke put it best when he asked "How was I supposed to know they had Sonic Weapon Fences?" These columns surround the entire barracks area and apparently cause Brain Hemorrhages and foaming at the mouth until you're deaders. Farewell Mikhail. You've served your purpose. Locke's "SORRY" was a good time too after he pushed Mikhail into the invisible fence. So why did Mikhail say "THANK YOU" after Locke pushed him to his death? Why did Klugh ask to be killed? There must be some crazy punishment for failing in the OTHERS' Society. Something to keep tabs on. After Sayid, Kate, Locke, and Rousseau went all "Survivor meets the A-Team" on the fence (constructed a bridge OVER the fence), we finally get to the lovely town of Othersville. And wait...there's Jack! He's running towards Kate....he's attempting to escape! Come on Jack! You can do it! You can do it!.....woa wait a sec....there's a football! He caught it?? He's throwing it back to......ZEKE err...Tom! That tub of lard is throwing it back! They're having a catch? Jack is doing a touchdown dance? What is going on???? 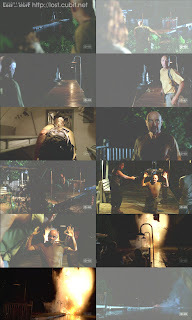 Ahhh yes....another crazy moment in the world of LOST. Are we meant to think Jack is brainwashed? Are we meant to think he's actually having a good time? Or is Jack just putting on an act to get some information and get back to his friends? We'll have to put that off for another episode! But that was a fantastic little twist at the end of the episode. Whew, that was a lot to cover. I didn't think I'd have too much to discuss, but then again, I never do! Hope you enjoyed my ramblings again. Feel free to share your thoughts as well! I always enjoy your opinions! See you next week as we finally get some dirt on Mr. Locke!